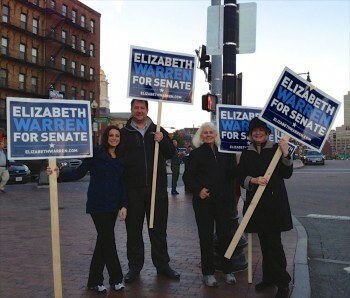 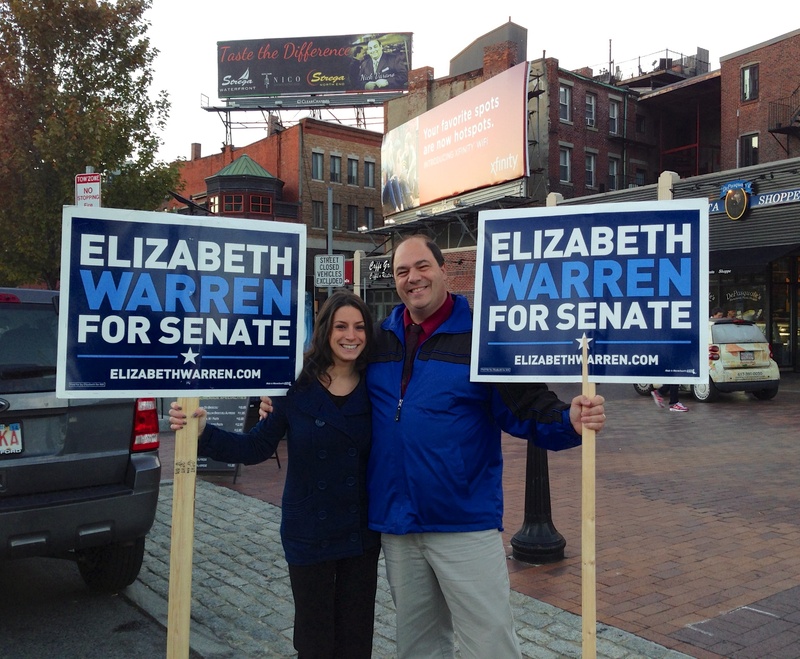 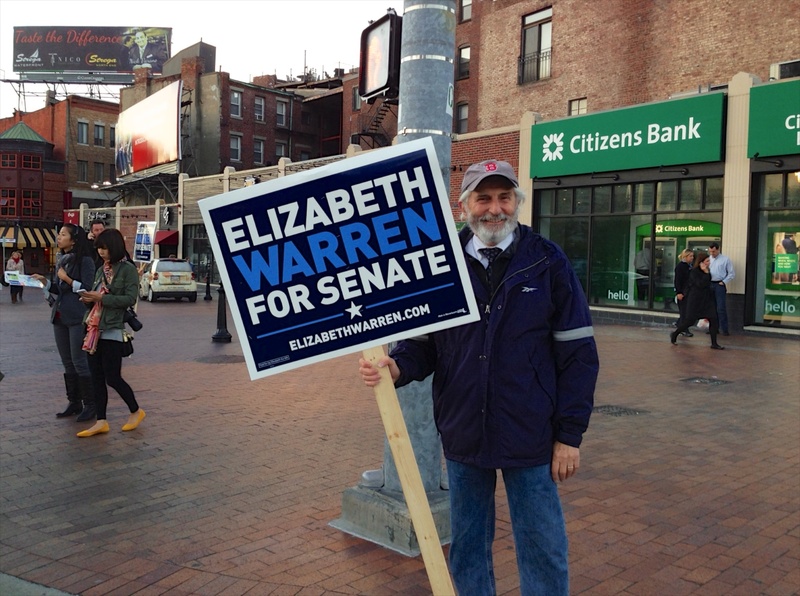 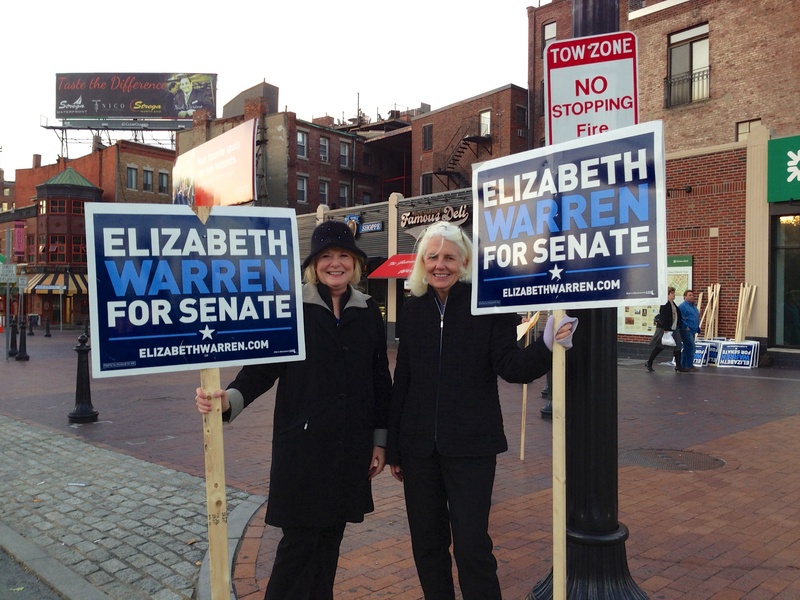 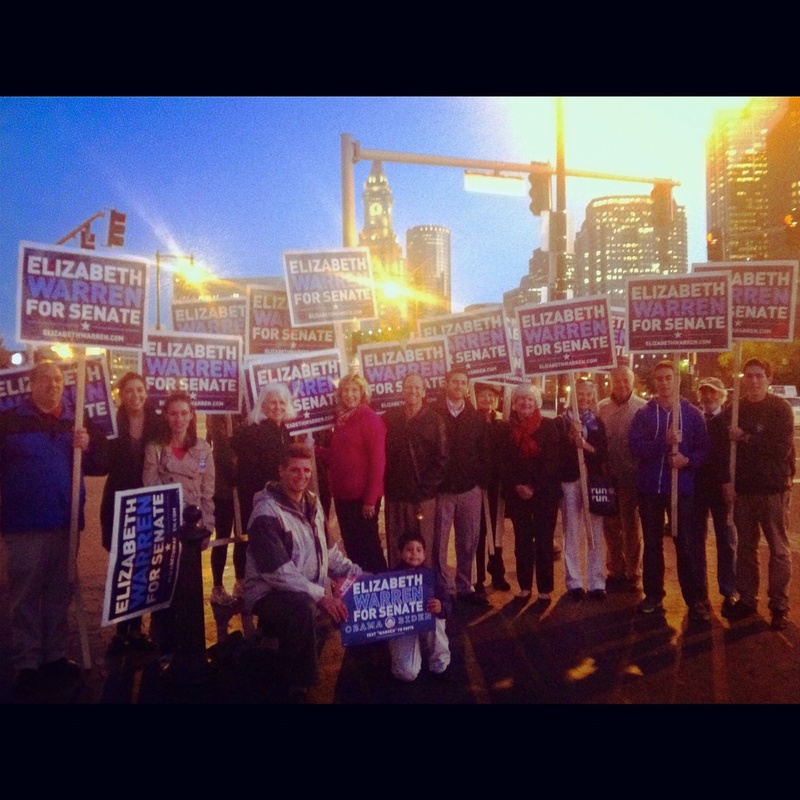 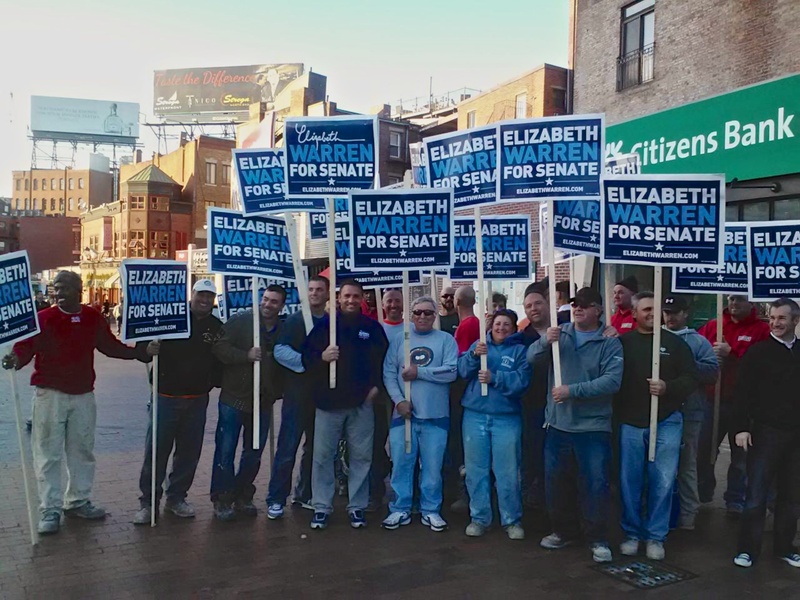 Local supporters for U.S. Senate candidate, Elizabeth Warren, known as “North End for Warren,” held a standout at the corner of Hanover and Cross Streets during the Thursday night rush hour. 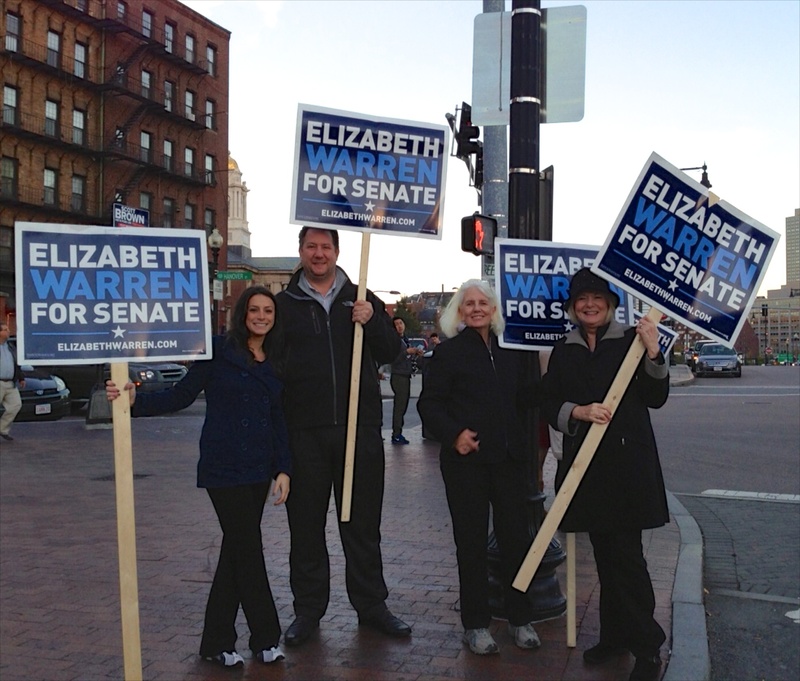 In addition to neighborhood residents, Local 22 and the Ward 3 Democratic Committee participated in the event. 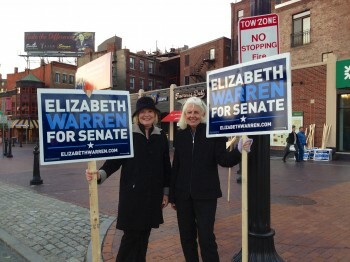 The Democrat Warren faces a tight race against Republican U.S. 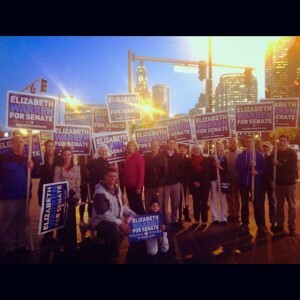 Senator Scott Brown. 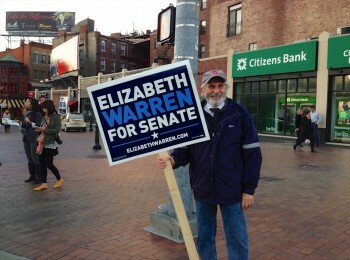 Where can I get a Brown sign?